You have read about selecting the best tools for anti aging your mouth. Now let's talk about using those tools in anti aging mouth care. You are probably thinking that you have been brushing your teeth for years, so why should you take the time to read about this? The most you can expect from this session of the Anti Aging Guide is the discovery of something new that you do not know: the least you can expect is a re-defining of the procedures that you have always known, but may have slipped a little due to a busy lifestyle. I really feel that I am belaboring the point but your teeth are so very important to your overall health and contribute so much to anti aging that smile. The major cause of tooth loss is gum disease and tooth decay. Avoid both by how learning to brush your teeth properly in the morning and in the evening. (a) Squeeze a strip of toothpaste along the top of your toothbrush. I prefer a toothpaste that does not contain fluoride, aluminium, artificial sweeteners or detergents. Your breath is freshened and healthy teeth and gums are maintained. inner and outer tooth surfaces. When you brush your gums as you brush you teeth, you help reduce the risk of your gums receding and causing those irritating, little aches at the top of your teeth. Can you guess how the saying "long in the tooth" originated? (c) Using a Rechargeable Electric Toothbrush allows you to simply guide the brush head along all surfaces of your mouth. (d) A Battery Powered Toothbrush is similar in design to a regular manual toothbrush. However, it has enough vibration to provide extra cleaning action. Flossing and brushing work hand-in-hand in your program to maintain a clean and healthy mouth. One without the other reduces the effectiveness of both! Just as brushing cleans the surface of your teeth and gums, flossing cleans in between your teeth and massages your gums. It has been proven that sensitive or bleeding gums are improved by flossing. It is a good idea to try different types of floss to find one that is comfortable for you. Try a soft, wider floss or dental tape to help reduce the discomfort you may be experiencing with the thin dental floss. Remember, if your gums are sensitive, the key word is "soft". Use a "soft" touch when brushing and flossing. Wrap the dental floss around a finger on each hand. When you begin to use your gum stimulator, you will be amazed at the amount of plaque it removes from your gum line. Another great way to reduce gum disease. When using a manual gum stimulator, simply place the rubber tip on the gum line between each tooth and gently massage your gum, follow your gum line with the stimulator to your next tooth and again gently massage the gum line. Remember to do both the front and back sides of your teeth. The gum stimulator comes with additional rubber tips. It is a good idea to change the tip on your stimulator every month. You may wish to massage your gums with a battery operated gum stimulator. 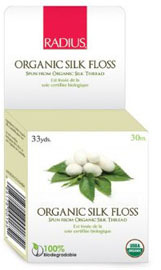 It also enhances gum stimulation and blood flow to the gums which often helps to reverse periodontist/gum disease. Deciding to use a mouth wash as part of your regular routine is your personal preference. Although you may decide to use it either regularly or on an "as needed basis", it is a good idea to have mouth wash available, should your need it. It is a nice, fresh, clean finish to a regular, healthy oral care routine. The question is not whether to whiten or not to whiten; the question is which method is right for you? Whitening your teeth will anti age your smile significantly. You will suddenly find you are smiling much more frequently and much broader. There are several avenues available that you can pursue in your quest for whiter teeth in your anti aging mouth care program. Do chat with your dentist about whitening your teeth to discover the best process for you before you purchase any whitening process. Personally, I chose the at-home whitening kit. The first application requires wearing the trays at night for a specified amount of time. Following that, you can touch up your pearly whites by loading and wearing the trays for a very short time--2 or 3 times per year. Learning how to care for your mouth and applying that knowledge is a major step in your anti aging mouth care routine. When a person has a great smile that shows a clean, healthy mouth you are presenting the image of a someone who cares about their health and about how they present themselves to others. Everyone loves receiving a great smile!